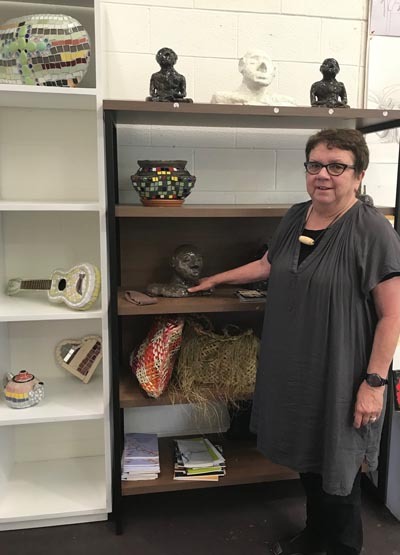 After nearly 20 years as Executive Director of Artists Alliance, Maggie Gresson has taken up a six-month contract as Director of Toi Ora Live Art Trust, a creative space in Grey Lynn, Auckland and part of a national network aligned to Arts Access Aotearoa. Maggie has just completed an eight-year term as a board member of Toi Ora. Arts Access Aotearoa asked Maggie four questions about her new role. Q: What are the key skills you bring to the job? A: My skills are in communication, networking and a thorough grounding in community arts. I also have governance skills and the ability to understand the importance of a sound budget and sticking to it. I’m really looking forward to getting to know the tutors, some of whom have been with Toi Ora for many years. I’m also a keen team builder and love to bring people together for an overall better outcome. It’s not exactly a skill, I guess, but I also bring a total belief in the work that Toi Ora does – a strong organisation delivering excellent programmes. 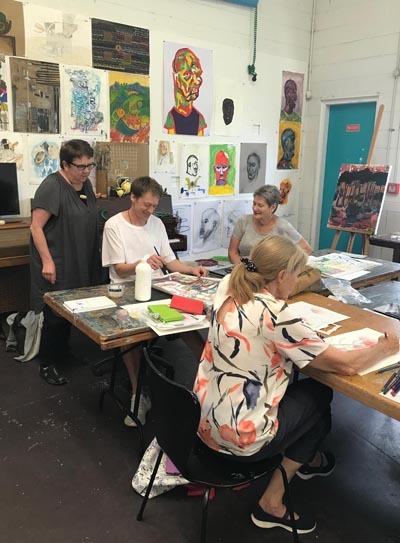 Toi Ora Live Art Trust is a registered charitable trust, set up in July 1995 to provide a creative space and learning opportunities for adults with lived experience of mental health issues in the Auckland District Health Board area. Encouraging people to participate in the arts, the service provides safe and structured programmes in the visual, written and performing arts. There’s a gallery on site for our artists to use so they can promote and showcase their achievements to the wider community. Q: What is your focus for the next six months? A: My focus for the next six months is to get a strong understanding of how staff and artists work and how we can build a sustainable structure for Toi Ora. I will be working with the board to find the best way forward for Toi Ora so we can meet the needs of our wonderful community and our obligations to our funders. Q: How important is Toi Ora to the Auckland community? A: Toi Ora provides an essential service, offering opportunities and support for people living with and recovering from mental illness. Our vision is to enrich lives through creativity, connection and community. Toi Ora sees itself as different from drop-in centres and occupational therapy programmes in Auckland. People are not discharged to Toi Ora. We believe that by offering our services to our communities that the quality of life of individuals can be improved and this in turn adds to the welfare of the wider community. Every week, more than 200 people come to our Grey Lynn space and make art. Toi Ora provides them with a creative outlet, social inclusion and a safe, nurturing environment. Toi Ora is contracted to provide services within the Auckland District Health Board area only. We know there’s a huge demand for our services from people living in the two other Health Board areas of Waitemata and Counties-Manukau. There is plenty of scope for expansion. And Toi Ora is well-placed to play a major role in any such expansion of services. Q: What most excites you about this role? A: It’s the opportunity to make a difference by managing this fantastic creative space and working with the artists. As a lapsed painter myself, it is a great luxury hanging out with our members. Nothing like the whiff of paint! Original generation time 3.4937 seconds. Cache Loaded in: 0.0004 seconds.